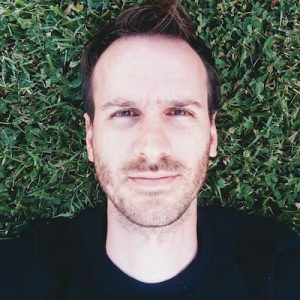 This week we welcome Manuel Kaufmann (@reydelhumo) as our PyDev of the Week. 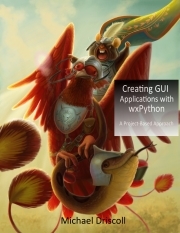 Manuel has been very active in promoting Python in South America and even received a grant a few years ago to help him in that regard from the Python Software Foundation. He started the Argentina en Python project and he also works for Read the Docs. You can check out his website to learn more about him, although please note that it’s mostly in Spanish. You can also see what projects he is currently contributing to via Github. Let’s take some time to get to know Manuel better! I’m Manuel Kaufmann. A passionate Python developer from Paraná, Entre Ríos, Argentina. Paraná is a small town (compared to other cities in Argentina) with not too much movement around technology. I studied System Engineer in a city close to where I was born called Santa Fé and I disliked what was taught there and how, so I decided to quit after some years of studying and continue by myself. I had some problems with English at that time and it was hard to keep up to date with recent technology topics and depend on translations. Also, at work it was complicated to me to follow long discussions and share thoughts naturally in English. Because of that, I decided to go back to University but this time to study to become an English teacher. When I got what I was looking for after 3 years of hard work, I quit and go back to what I love: programming. Since I started my personal blog in 2008, I used to write every single day at least a couple of lines. Maybe they ended up in the drawer and never get published. While the blog was growing, all my posts where about technology and very technical, with many commands on them and step to do or fix something very specific. Time to time, I started sharing adventures around my activity in the national Python community and then I realized that I wanted to share more social things related to what was happening “around me” in different directions in my life. Stories, travel adventures, fiction, funny stories and many other topics where covered in my blog and I realized that more and more people was following my posts. Another hobby that I used to have while studying and where I learnt a lot about life in many senses, was practicing circus. Now, I can say that I’m a juggler and an uni-cyclist. I used to juggle and play music on the stage with a group of around 10 people called “Circulando Circo Callejero” which its translation would be something like “Circulating Street Circus”-ish. I was really involved in the art movement in Paraná city with the photography, circus, music and more. I miss those days. My first contact to a programming language was editing the AUTOEXEC.BAT and CONFIG.SYS for MS-DOS and Windows 3.x to speed up things and manage the resources in a better way so I can play different video games that didn’t work otherwise. Then, on high school I met ActionScript while I was learning Macromedia Flash 4 by my own after school and found a text box where you could write things that didn’t make sense to me. I found and printed a book about ActionScript and I fell in love with what the concept of simple variable was. Today, I really want to learn other languages since every time that I learnt a little of a new language I added a new way of think or a different way to attack the same problem. I think that’s an amazing skill to have and use. I’d like to take a look at Go, Rust and Haskell in the near future. Currently, I’m not working on any personal project that involves coding. I’ve been more involved in the community the last years and working on developing courses, new talks, organizing events and more with the project “Argentina en Python” which I will talk more about that later. I used to stay awake late at night and code for many long hours alone, drinking a beer or wine. Maybe I’m getting old, weak or lazy I don’t know, but now I’m not being able to do that anymore. I have an eternal love with Django. My professional career started with it and since then, each time that I read the source code, the documentation or think how they solved a specific problem I keep admiring these people and say “Thanks”. 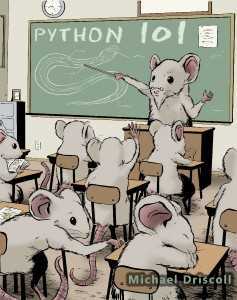 Also, I think that requests has changed the whole ecosystem in the Python community. I remember those days when using urllib making a lot of mistakes over and over again. It was very complicated to memorize how was the right way of using it. On top of Django, I used django-rest-framework on a daily basis for several years now and I have to say that it’s also one of my favourites. Not sure if it’s considered a Python library or not, but virtualenvwrapper would be another one that I’d put together with my favourites. Although I don’t use it anymore, I translated its documentation from English to Spanish some years ago because I was a really fan of it. It really changed my way on working with virtualenvs. 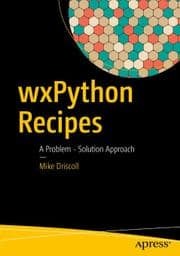 Could you tell us about the Argentina en Python project and what it was all about? Argentina en Python is a personal and communitary project that promotes the usage of Python as a programming language to solve daily issues for common users and also to develop powerful and complex softwares in an easy way, encouraging the collaborative learning and the Software Libre philosophy. To achieve this goal, I started travelling in my small-personal-tweaked-car (with a kind of a bed inside it) around Argentina and contacting people from Universities, co-working spaces and cultural centers among others, to help me to organize free Python-related events (PyDay, Sprint, Meetup, Workshop, Course, etc) in places where has never been a Python event before. Besides the technical aspect of the event, the main goal is to motivate local people from small towns to organize their own events and this way decentralize the knowledge from biggest cities and bring fair job opportunities to people from small towns. The Argentina en Python’s team is composed by Johanna Sanchez (Chemistry), The Wanderer (our Car) and myself (Developer). 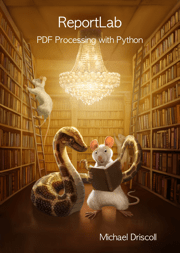 What is the PSF Python Ambassador Program? During the last years (Argentina en Python started in early 2014) I’ve organized more than 60 events including 20 Django Girls Workshops in more than 7 countries of Latin America. All these events were supported by the Python worldwide community by giving us donations but also by the Python Software Foundation itself: granting us all the Grant Proposals I’ve submitted to support these events. Because of all this work we have done and to organize the relationship I have through “Argentina en Python” with the PSF they declared me “PSF Python Ambassador in Latin America” to put a face of the PSF in these events and also giving me a year budget to use while organizing these events. The program started in 2017 as a Trial and we were discussing during the last year how it should be implemented and opened to the rest of the Python community and help other regions of the world in the organization of these kind of events. 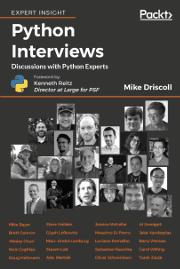 In January, I collected all the ideas and problems that I had during the Trial program and I presented a document to the PSF trying to standardise what the program is about and proposing to open it to the whole Python community. Currently, we are still discussing the benefits/problems that it could imply into the community and the PSF itself. How were you involved in the Django Girls movement? During our travels, we organized events but we also participated in events that were organized by other people. After some time we realized that in most of them the number of woman attending to these kind of events were so low that it called our attention and we decided to do something to increase woman participation. At that moment, I researched a little about this and I didn’t found anything well organized or known world-wide (I think that by the end of 2014 Django Girls wasn’t already created or well known). So, I decided to create a 2 days course by myself with different introductory topics and organize an event in Posadas, Misiones, Argentina to deliver it. I called it “Python for Ladies“. Honestly, although the content of the course was interesting, I’m not a teacher with knowledge about how to organize the content and how to make it fun/attractive to attendees without previous knowledge on the topic. Because of this, after a couple of months while I was trying to improve my course I found Django Girls and I fell in love with the tutorial that they had. It was so amazing that I decided that it was perfect for the course that I wanted to do by myself and use it in the class. 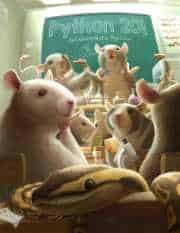 Then, I kept reading and I wanted to share the same philosophy they had. The more I read about Django Girls the more I wanted to organize a Django Girls Workshop. They were able to express all these ideas/philosophy in a way that I couldn’t but also they already had “the right path to follow” to a solution of this problem. I mean, not only the tutorial, but also the coach’s guide, the organizer’s manual and so much amazing material! What do you do at Read the Docs? Why is Read the Docs important? For those that do not know, Read the Docs is a free software project and a SaaS that simplifies software documentation by automating building, versioning, and hosting of your docs for you. It has many good features which help you to focus on just write the documentation without worry about the tools to make your documentation work. Regarding the second question: “Documentation is important” and Read the Docs helps people to make it better.